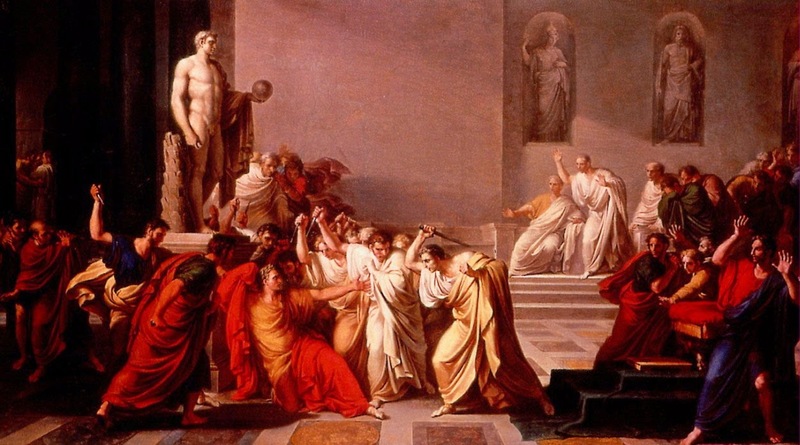 Two-thousand and fifty nine years ago today, Julius Caesar was stabbed 23 times, by conspiring peers, friends and enemies. The medical conclusion, after one of the first known recorded post-mortems in history, was that only one of the multiple stab wounds was considered a fatal blow. Prior to his assassination, it is said by historians of the time, that Caesar was warned of the impending danger by a seer named Surinna. Later, William Shakespeare immortalized this warning with the dramatic quote, "Beware the ides of March," in his play Julius Caesar. The seer Surinna was actually a haruspex. A man who divines prophesies by reading the entrails of religiously sacrificed animals, the way some gypsy ladies read tea leaves. So, what do the stab wounds of an assassinated Roman dictator and a fortune teller who believed animal guts have to do with Surviving? Firstly, it only takes one fatal blow to kill you. No matter how many blows or injuries you suffer, only one of them, ever, will be fatal. And secondly, trust your guts. Surviving is about all manner of injuries, emotional and physical, that sometimes compound over time. But, no matter how hurt you are, no matter how wounded, no matter how many wounds you receive - it is vital to keep fighting to survive. Because until that final blow, there is hope. There is breath in us yet. We are human. We feel every injury. We hurt. But, we endure. Yes, of course, there will be a final blow for us all, someday. It may come in a hospital bed from illness, or in our sleep from old age, or getting hit by a bus full of tourists. That isn't the point. The point is to live every moment in the meantime. Not to waste these moments focusing on each and every blow we received and dreading each one to come. We have the ability to heal, grow, and see beauty. We can feel happiness. Cling to those moments to get you through whatever onslaught of blows you face. Trust yours. Plain and simple. If you feel like something is wrong, seek help. If you feel uneasy, hunt for something to ease you. If you feel like there is no point, find one. If you feel lost, take a moment to search for yourself. If you feel there are warning signs, heed them. You know you better than anyone else. You know your body, your mind, and your heart. Trust your feelings. Do whatever it takes to make things right inside you, around you, and for you. It is part of how we all survive and a big part of healing for continued survival. Like the ides of March, there will be bad days with many blows. But, there will also be good days.